I saw Seabear about a month ago and they were so amazing! What a cute outfit.. Love the type of red.. I spent the weekend with my friends, chatting having a good time. this weekend i went to see beach house at a cathedral in manchester...such a beautiful venue & totally appropriate for the band! 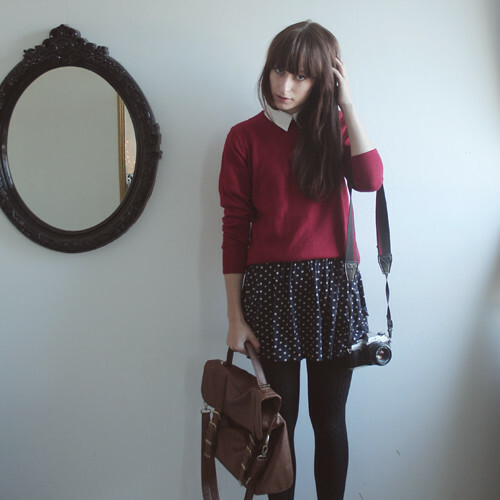 Love your skirt & sweater! I love Seabear! They're playing in Warsaw 26th Nov, i have tickets and really can't wait! 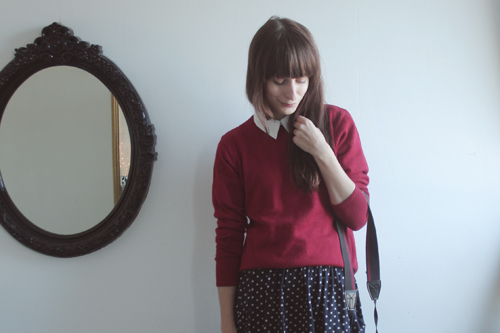 I love this outfit, Laura, cozy sweater with skirt and basic shirt is my all time favouite. This is super adorable. 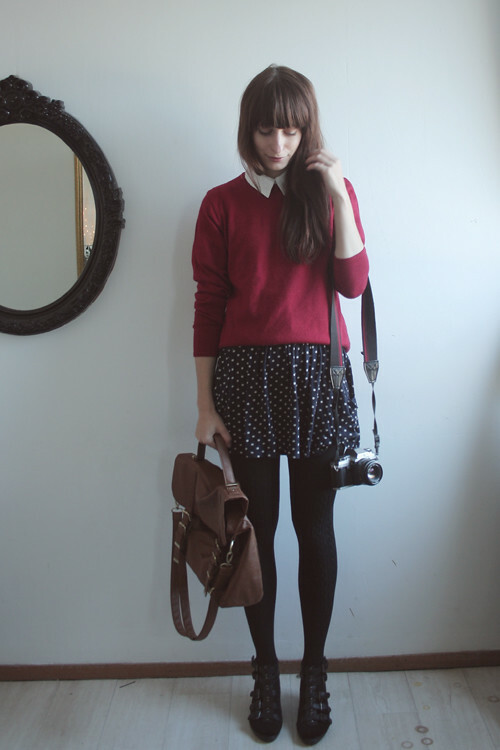 Love the sweater with the polka dot skirt, and the bag is gorgeous. Exactly my favourite sort of outfit. Simple but happy in navy and red! 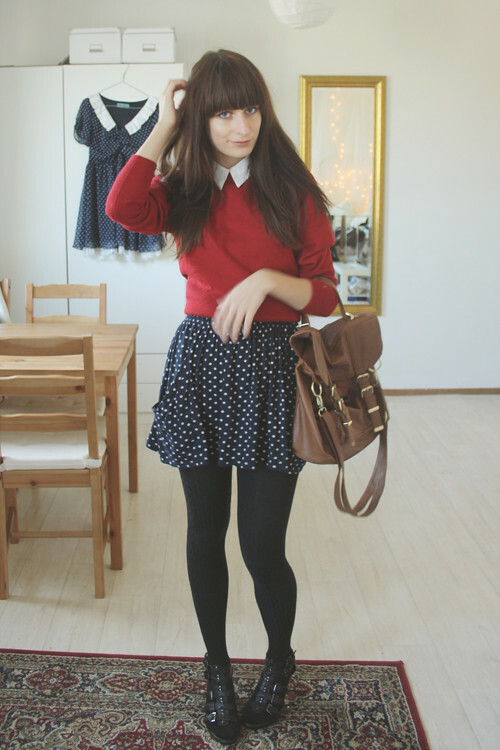 That polka dot skirt ir perfect with the red sweater! You are similar to Florence+the machine. That's great, I love the skirt and colours here! Laura, you look so sweet. :) This look is perfect in every way! Hope your Monday is going well!